After two decades of internal armed conflict, Peru has witnessed a number of developments in transitional justice; among the most significant was the Truth and Reconciliation Commission (Comisión de la Verdad y Reconciliación). Ten years ago, on August 28, 2003, the Truth and Reconciliation Commission (TRC) presented its final report, clarifying the grave human rights violations committed between 1980 and 2000 during the internal armed conflict and the regime headed by Alberto Fujimori. This month, ICTJ joins Peru in looking back to analyze the legacy of the TRC. In the coming weeks, ICTJ will provide special coverage of the TRC’s legacy through an in-depth report on the impact of the Commission on Peruvian society, a podcast interview with the Commission’s chairman, Salomon Lerner Febres, and live coverage of the international seminar “Policies in Transitional Justice: Ten years after the Truth and Reconciliation Commission,” to be held in Lima on 20-22 August. Peru’s conflict began in the 1980’s with violent insurgencies led by rebel group Shining Path (Sendero Luminoso). The Peruvian state also unleashed systematic abuses during the armed conflict. Small, rural communities and native peoples of the Andes and Amazon bore the brunt of the violence and lived under a reign of terror and torture. In the 1990’s, President Alberto Fujimori’s repressive rule further eroded the rule of law, enacting amnesty laws and granting impunity for the members of government death squads. The TRC, set up in 2001, provided the Peruvian judiciary with a wealth of information, much of which would prove essential for the prosecution and ultimate convictions of Fujimori and the leader of Shining Path, Abimael Guzmán. 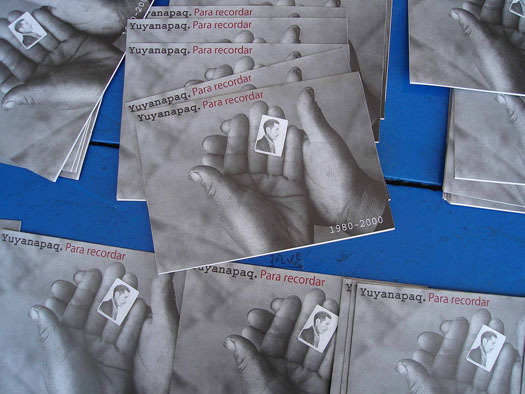 The findings of the TRC also demonstrated how racial and cultural discrimination of Andean and native populations played a fundamental role in the conflict: according to its estimates, of the more than 69,000 dead and disappeared, 75% were native speakers of Quechua or other indigenous languages. The Commission also made recommendations calling for reparations for victims, the strengthening of the rule of law, and for foundations to be put in place for true reconciliation based on justice. In the broader field of transitional justice, Peru’s TRC is recognized for its successful execution of a daunting and complex mandate: to analyze 20 years of violence and authoritarianism. Today, its example is studied in different countries engaged in truth-seeking. The TRC findings and recommendations have been strongly opposed by traditional political sectors and some local elites. The trials of people accused of grave crimes are proceeding at a slow pace, the needs of victims do not receive adequate attention, and the demands of the families of thousands of disappeared people are met with inaction and indifference. From August 20 to 22, ICTJ will report live from Lima at the international seminar “The Policies of Transitional Justice: Ten years after the Truth and Reconciliation Commission,” organized by the Institute for Democracy and Human Rights of the Pontifical Catholic University of Peru, the Institute of Peruvian Studies, the University of Antonio Ruiz de Montoya, and the civil society organization Never Again. ICTJ will also explore the views of Peruvians on the work of the TRC and its recommendations. Through an in-depth report and podcast interviews we will present views from relatives of victims, human rights defenders, activists, lawyers, journalists, and academics, to better understand the legacy of this important step in Peru’s transition to peace.